The internationally renowned Shirim Klezmer Orchestra celebrates Chanukah with a performance of their “Klezmer Nutcracker” music at Club Passim! Shirim’s legendary klezmer rendition of the Nutcracker is a brilliant cross-cultural achievement which is fun, serious and rocking all at once. They distill the classic ballet suite down to its folky essence and will change the way you think of Tchaikovsky forever. Emphasizing the Eastern European elements of the score with witty intelligence and playful irreverence, Shirim redefines the modern melting pot of “world music.” Its overwhelming virtuosity in both the performance and musical conception harken back to the manic genius of Spike Jones’ classical parodies and the artistry of Ellington’s classic transcription. 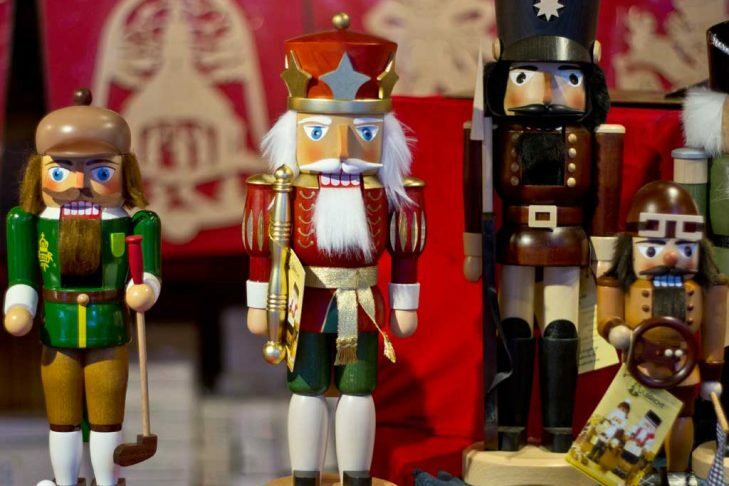 This family-friendly Sunday afternoon concert will feature the Klezmer Nutcracker, traditional klezmer tunes as well as Yiddish holiday favorites sung by Anneke Reich. Shirim has performed all over the U.S., Canada and Europe. They have collaborated with Maurice Sendak (Pincus & the Pig), Ellen Kushner (The Golden Dreydl) and played with the Philly Pops and on the soundtrack of Woody Allen’s “Deconstructing Harry.” They are traditional and new and alive at the same time. Come see them, you won’t regret it in this intimate venue. After over 25 years of playing, they are a Boston institution. Glenn Dickson, clarinet; Anneke Reich, vocals; Michael Mclaughlin, accordion; Clayton DeWalt, trombone; Jim Gray, tuba; Eric Rosenthal, drums.